I seem to think and say this every month but how is it a new month already and we are already through the very first week of April?! I know I am personally quite busy as a mom and working professional, but where do the days disappear?! Speaking of disappearing, Winter can go away too. Any day now. I am ready for temps of 50 and above and for them to stick!! This first week of April we have had frigid temps, as low as 22 degrees some days. Now that is COOOOLD! We even had snow like 3 times, but thankfully it didn't stick. Our Easter is tomorrow - I am Greek Orthodox - and it feels a lot like Christmas outside, rather than Easter. 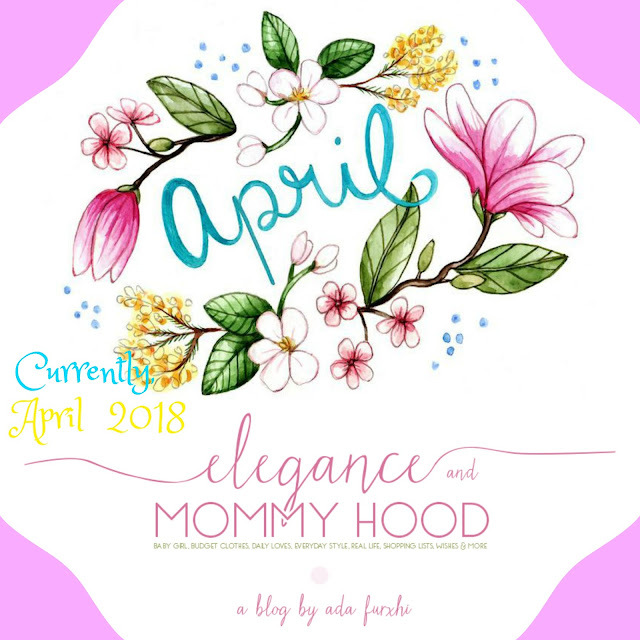 As always, I am linking up with Anne. 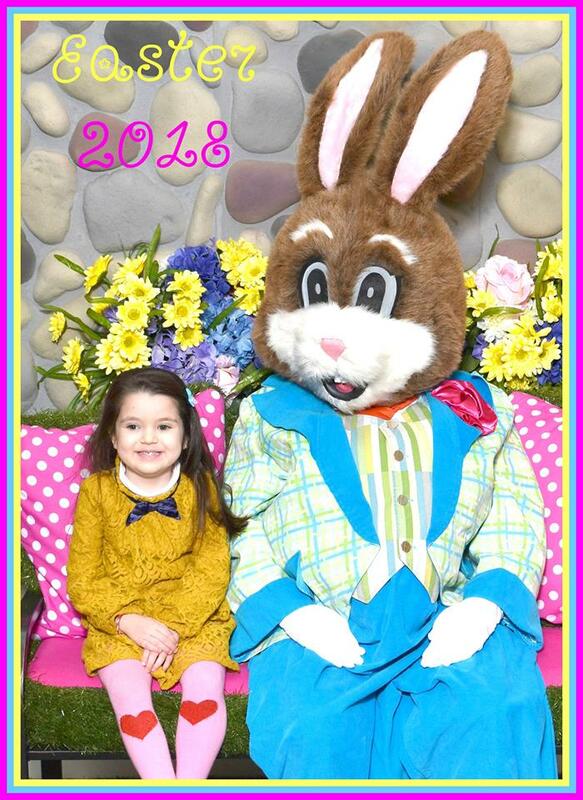 Speaking of Easter, I wanted to share Vivian's annual photo with the Easter bunny (above). This might be my most favorite one of her with the bunny, yet (compared to previous years). Her smile is beaming. Her personality shines through. And to top it off, she has on the cutest outfit too - I love her dress!! showering: in the mornings or early afternoon usually. It has been such a long and cold Winter (still is) that the evening showers, especially if I don't dry my hair, already put goose bumps in my body, just thinking about them. I prefer to shower in the morning and I turn on this little space-heater too in the bathroom, so I am all nice, warm and cozy for when I get out. cultivating: (hmmmm I am having a really hard time with this prompt). But let's say I am cultivating my Instagram account. It is a very long, frustrating, headache-inducing and annoying process because I seem to gain about 5 to 12 followers each day and I loose just as many each day. I don't know if I am doing anything wrong or if Instagram hates me. This week I even posted a lot less (probably 6-7 pics total all week) due to both lack of time and trying to post less in order to not annoy anyone who religiously follows me. Seriously I will never understand Instagram's rules + regulations and their algorithm too. If you like my blog, my style and my everyday snaps+stories, I kindly ask that you follow me on Instagram, too. I kindly and hugely appreciate it. Let's all support each other!! expecting: For Spring to arrive but my God where is it?! Our Easter is tomorrow and last year it only fell like a week behind but the temperatures were a lot higher and sunnier. I remember both Vivian and I wearing sleeveless dresses with cardigans on top and bare legs. This year Spring looks like it is making a very late arrival. Our temps will be quite low through Wednesday next week. As I am typing this currently, it is ONLY 24 degrees outside. It feels like January, guys. making: lists and plans for the Summer (in my head). It is never too early to plan these or plan your Summer vacation, plus once a new month starts, you blink and it is over. buying: nothing at the moment as I am going on a shopping freeze this month. So far a week into April and I must say I have done very well. Knock on wood I continue my shopping freeze for this month with success! I do not need any new clothes at all!! What are you all up to this April and is the weather freezing in your parts of the world too?! Happy April and Happy Spring! !